Peace and Love! And thank you too LivinginLight....we all in this together. We will do our part! if you watch "hammer of thor" video by Abre Solaire it seemed to me that all scalar weapons and technology keeping us under control will be wiped out around 8th March of Mjolnir hits the surface. It has been said that without those energy weapons we will all notice a clearness of thinking and "silence" in our minds that we long sought after. I eagerly await the 8th March and freedom from being locked into outside influences. Goddess wants love, and love it shall be. I believe if L2 or L1 is disrupted that will break the networks that hold the veil in place. Kind of like a tractorbeam,although I had heard that all of negative et and dark forces were clear in space and sublunar to surface and deemed galactic domain? At any rate Hammer on, immediate victory of our light. Love to light forces.. Let be the light everywhere . Another major milestone! Closer to the surface we come. Thank you Federation Family,thank you COBRA! Good job of Hammer of Thor ! YES! I have sent reminders to friends and will be taking a break at work to duck into the hospital chapel ( meanwhile there will be something else going on there) to particpate. VIA-Aya 15/2, 13h30. -16.106955,-47.9322473,18z TEN.WES AKASHA INTRO -16.1086145,-47.9136006,17z Contact fleet 13/02 20h e 14/2 7e1. Victory of the light. i send you ALL a big wave of joy and gratitude changing every lower vibe. aloha! onward to now guaranteed victory of light. I haven't been able to sleep since I found COBRA. He is by far the best relevant, and knowledgable source I have EVER found. And I've been researching this stuff for many many years. Thank you for sharing all of this with us COBRA! Its becouse he is Pleadian in human body- this is mentioned in his interwievs at very start(i mean when he started to share information- with us)from 2012. COBRA is by far the most detailed and greatest source I have ever found regarding all of this. The youtube videos are amazing as well. 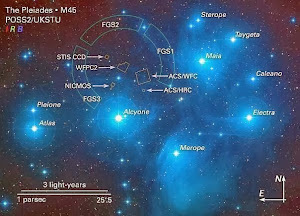 It's almost a soft disclosure to show us ETs are full of love and alot more like us than we ever knew. Does anyone know what this message means? are the Ls layers of "the veil" ? Let's do this!! :) ALL our Light and Love go out to everyone involved in these actions! Time to remove the darkness and restore the Divine Plan on Earth! WE STAND WITH YOU! This is a great news. We are almost there and free of Evil. Let the new free world begins and let us all remember our past and previous lives. Thank you all LF, Cobra and RM for this beautiful moment that we are about to whitnes. No more going back now. Event now!! Our Light/Love & Deep Felt Gratitude are beamed to you GFL, LW, Cobra, Angels, Isis Astara & all Star Brothers & Sisters that are helping liberate Gaia. Thor's Hammer moves swiftly now! Looks like Light Forces are at full speed. Congratulations for the status ! I Hope rm start Help Brazil. We are tired. hang in there.. it's hard when one wakes up and realizes the US where I live has been a huge lie.. the entire system is a lie.. keeping all of us busy chasing material stuff.. but losing our souls. No More! Também espero o mesmo por que esta bem difícil pra gente aqui no Brazil ne amigo. I just thought lately how it would be funny for the Event to occur on 14.4.2018. - because of the numerical symbolism . Several years ago , in late 2015. , I had a dream which I feel is "prophetic" to one extent . I saw fleets of ships on the sky . I could describe exactly their shapes . The sky was clear blue , it was like spring or early summer . On TV , there were broadcasts about triangular vessel visible in one bigger S.American city ( I got a hint that it was Buenos Aires ) . There were more details which I feel are more personal to me . However , I feel this dream was to show me what is going to happen . I had more dreams later that shown me some extremely weird places , activated portal technology , entities coming from portals and attacking people because portals were literally connected to "Hell" , DNA vaults , and what I think was Bucegi mountains , too . Not to go too far ... I think were very close . And I am the one who would take cautiously every information , including info from COBRA . 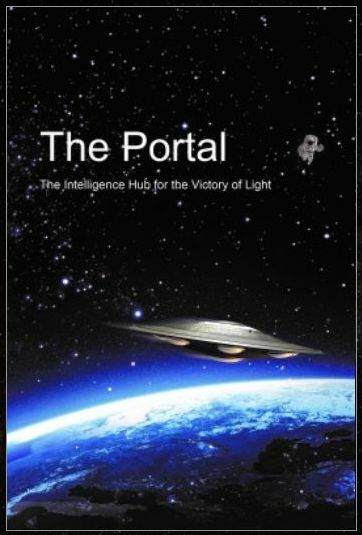 But the internal feeling ... the "outer" happenings ... and general global signs are all pointing out to one thing : we are nearing the final convergence-liberation point . So , in one sense , prepare yourself for the moment , and plan on how you can assist other people - especially many of those who will feel much more unprepared than you in post-Event . There is a huge knowledge , not to cram down peoples throats , but to point them out to it . As many people need to be ready for post-Event , as then things will go more fluid ... In post-Event , I look forward the most to be with one person , who is far away from me , because of the current parasitic-monetary system . I feel like everyone will gradually , in shorter period of time post-Event , get to the point where they should be , and with whom they should have always been . And not even the physical "death" will seem such an obstacle like it is now . Very well said😍thank you! VoL! @Daedalus Thanks man. I'm dealing with those same obstacles. I hope you're right. The galactic confederation will clear all negative factions with space travel capability, either extraterrestrial or secret space program, that do not accept the galactic codex, within the next two weeks. then they will methodically and systematically clear everything below the surface of the planet and after that, surface operations will begin. ..2 weeks ... days 16-17-february.. the victory of light comes on the road . A Valentine's Day Hammering of LOVE and LIGHT! 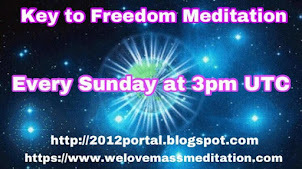 We are ready for this meditation today!!! Beautiful News! My Gratitude to you all! yes !!! count me on, light for ever, i am strugling years now and i always wanted for one time, just once, light period!! something positive, a huge change against all this negativity that is calling life..! thank u ! Well, things seems to be happening now. Thanx Cobra...Victory of the Light. Where we go one, we go all. Light Forces are greatly appreciated and loved. The L3 was declared already CLEAR in 2014 ! ! ! What IS happened ! ? ? ? must explain, Cobra , PLEASE ! ! ! There were other posts after where Cobra said Pleiadians lost a lot of ground. I'm assuming it was these areas. This sounds good. Victory to the light!! What an awesome Valentine Day treat for HUE-manity! Rock on Cobra...Victory of the Light! Good job, Victory of the light! your giving me hope and I have been restraining that feeling for so long now. I have always had hope/faith but had to consciously make an effort to keep my emotions under control. Please keep doing what your doing I would like nothing more than to break the status quo of this incarnation, so bring it on. Victory of the Light!!!! Hi Cobra, I was wondering how do you support yourself financially and your buddies when you are always working for the light, I mean do you buy food at the grocery store like us, and pay electric bills, pay a mortgage, what is really going on with you! If You can, donate, not ask about this!!!! I'm sure they've given him some gold to trade for money. Let the Hammer of Thor clear all dark entities above, below and on the surface as soon as possible to allow the Event to hit earth! I can't wait for truth and the Light to be known! Thank you Galactics! Thank you Cobra! Thank you humanity and I pray to Divine Source to awaken all of humanity earth! That moment when Reality Shatters right in front of You. Working down those levels. Great news! Thanks Cobra; hope you are hanging in there. 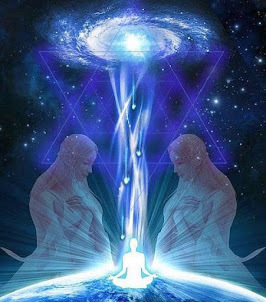 Dear Lors Ashtar, the Ashtar command, the Galactic Federation, and all our starbrothers and sisters, the Resistance Movement, Divine blessings, power and protection be with you! Heartfelt gratitude for your service. Getting closer to the surface ! These locations are Lagrange Points where Chimera have long held implant stations. Cobra mentioned this in earlier Situation Reports. The good news is there are only L2 and L1 left to clear. I do wonder however, how much progress we have made with Yaldabaoth’s head and how much Primary Anomaly has been dissolved. If the main negative influences from plasma weaponry are removed, it will be easier for us as a collective to do our jobs without being mentally, physically or emotionally hacked by the dark forces. And the boots on the ground will also have an easier time apprehending cabal members on trying to hide, as well as other groups hiding underground. 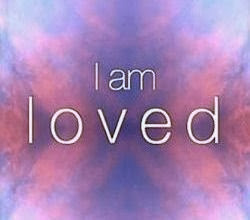 Therefore our good intentions, prayers and love/light sent to the RM/Galactic Federation is so vital right now. Let’s give them a boost to show our solidarity and keep them going during this last push to the finish line. As you have stated, "it will be easier for us as a collective to do our jobs...". The reason why this is the time now. At 8:28pmCST.. I felt something so strange come over me like I’ve never felt before...but not a bad thing at all. I was just standing in the hallway, talking with my young grandson who was in his room, when my vision suddenly went all weird and I couldn’t hear anything but the usual ear ringing. My body felt weightless and I could hardly think. Not feeling like I was going to pass out, and no chest or head pain involved. In fact, it was almost euphoric!...the oddest sensation that I was drifting or fading away..disappearing?? It only lasted for a few seconds, and then I “snapped back” into myself. Don’t know how else to describe it! I was a bit confused at first, but otherwise feeling fine. I have the distinct impression that something just happened “out there”....! Like maybe Mjolneir just clobbered the hell out of something?! Anyone else experience this tonight? It's anybody's guess but it reminds me of a wave that comes and goes when on acid. I want to say it could have something to do with implant removal. Moon Mama, yesterday the Schumann Resonance spiked to 30-40 hz range and stayed there for 8-9 hours. I felt like I was on speed the whole day and got a weeks worth of "work" done at work it was amazing. And I had an ear to ear grin all day like it was my last day. Something big happened yesterday. @unknown. it would be useful when these notifications are posted for mass meditation that a link is included to the international clock, as COBRA does for such meditations to allow for prior planning to participate. Love and light and thank you for all that you do. Continue holding and spreading the light. Thank you and blessings to you all. YAHOOOOOOOOO!!!!!! L1 cant come too soon!! WOW L2 operations seem to be releasing wave after wave of what I can only describe as the approaching of a dream. Thank you Corba and all Light-Forces. Zionists all over the world, let me tell you this. Each and every single one of you. And all of your helpers as well. This is not a threat. Not even a promise. We're coming to get you. And we will get you. Nowhere to run to, nowhere to hide. We are of indomitable Spirit. 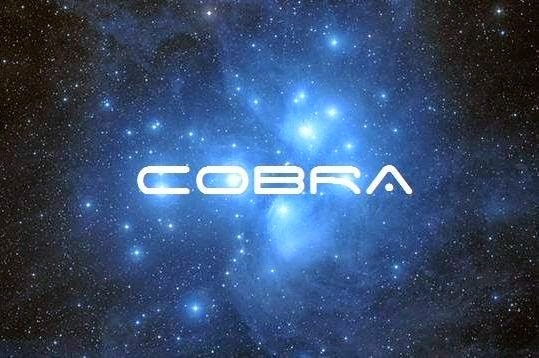 Thank you Cobra, thank you all resistance light warriors in every part of the world, in every area of work for all you are doing to save this planet and save humanity. God Speed to the VICTORY!! With the Full Power of My Authority I, RaJah, in the name of every being living ON or IN the living being called planet GAIA and the SOL SYSTEM hereby officially declare WAR on ZIONISM, the ZIONISTS, their supporters, their helpers and the dark beings guiding and / or assisting them from other star systems, frequency levels, planes or dimensions. I hereby call on ALL Forces Of Light to summon the troops and send them into FINAL BATTLE. You are doing exactly what the Zionists and various other nefarious groups would like you to do ... by declaring war , youre giving them the reason and your own energy to manipulate with . Youre taking the role and side within a game they created . Stop feeding the victim-victimizer agenda , as you and everyone else here were incarnating in both roles continously . Its not time to repeat the cycle again , but to break free from it completely . By killing your "enemy" with your own hands , you become your "enemy" ... and so on , it continues . By exposing their crimes , you do much bigger impact . When someone is exposed and faced with their own shadow truly - it makes them see the truth , it forces them to transform themselves , or "reset" themselves back to the beginning . All who made any crimes will ultimately be faced with it - that is unavoidable , that is interwoven in the Creation as a balancing factor . Youre not going to see "final battle" or "war" - that is the Armageddon program , the destructive WW3 timeline that WONT happen . What is now , is the Apocalypse - the revelation , the unveiling of knowledge and truth . Those who need to be removed are removed now , and will be removed completely in the moment of the Event . Even by themselves - especially by themselves . Be aware into what and who you feed your energy . You do not have the authority to declare war in my name, period. Grow up! The Apocalypse is The Revelation of Truth. The veil comes down and humanity's hearts and minds will be opened once again. Who said anything about "killing"? Yeah, I agree. War is never the answer RaJah, Cobra would even assure you of that. This will be done through peace, beyond the 3D state-of-mind. The things I post are *not for everybody* and only for "Those whom it concerns." They understand the full messages. What a beautiful thing to see. Unfortunately, only in a few places of the world, at least for now. I m anxious for having videos like that in South America too. Why don't you just say what you are doing, these codes are totally meaningless and is a larp. THIS HAS BEEN EXPLAINED MANY TIMES. THESE CODES ARE NOT FOR THE GENERAL POPULATION TO DECIPHER, ALTHOUGH MANY TRY TO GUESS. The 70billion human soul has already lived in human beings right ? And what will happen to them after healing ? i think you need to go back to beginning of this blog and catch up with what is going on. what you ask has been answered many times in many different ways. the news is ALL GOOD. �� 4) Step by step instructions how to choose a harmonious financial activity and be happy in the material world! �� 6) And also many other useful things. Thank you for link and your words. There is no way out of the existing system of control by going through the system. It is the illusion of the false reality that leads one to this assumption. The Power to change our world, to cause A Transformation, comes to us from > above < , from beyond the veil, from The Higher Realms. As the veils of illusion are being lifted, they reveal the mechanism in play that is leading us to The Shift. It is... the union of technology with Spirit(-uality), as an intrinsic attribute of the off-world Higher Dimensional Civilizations, which serves to harmonize >>their<< Reality. Any expression of this Higher Dimensional Consciousness on the surface will provide valuable assistance in further stabilizing The Transition. It will give access points for Harmonic Resonance with the incoming Energies. "What happens on Earth now will affect the entire Universe." The Shift of The Ages. It is the illusion of the false reality that leads one to assume there is a way out of, or relief from, the control system by going through it. In the video "Ode to the Goddess", The Quickening Energy is being represented by the time-lapse photography that begins at the 3:50 minute mark. The accompaniment of the soundtrack helps to conjure up it's peaceful and quiet nature. Everything is vibrating at a Higher frequency. Everything seems to be / is happening quicker and, yet, it is oh-so peaceful. It's quiet nature speaks a language beyond words. These WILL MOT be Forgotten Years! What do you think you were created for? You don't know what happened, kids, if you weren't there!!! Like last year, I've also prepared for this year for about 40 kids to adult games. Afterwards, there were prizes for everyone, of different value - all were allowed to take everything at the same time. To the astonishment of some adults, there was no quarrel among the children during the game and the award ceremony as last year. Even a kindergarten teacher with a lot of experience was baffled. the competition and ego is encouraged as we grow up, we have to be the best, we must win, we must get good grades.. we must dress a certain way, live in a certain type of home, drive cool car.. on and on.. all to keep us programmed.. watch certain cool shows.. sports.. I say sports as I loved sports growing up.. but now realize it's all ego driven, paying nba players 30M a yr to play sport. meanwhile people are living on the streets, dying in around the world, most do not have indoor plumbing or enuff food to eat.. how can we sleep at night knowing all of this.. abundance for all! Unknown, sport is directed by the cabal according to the principle of divide and rule. That's why I did not aim the games at competition but at collaboration, for a common goal. Last year, some children still had difficulty adjusting to it and trying to change the game. This year they got along better with it. So cometh the days of days, with which we shall manifest like the molds of clay. We stand ready, we stand proud, may you rejoice above our clouds. We hear your battle-cries, we await you with weary, teary eyes. Please appease us of these lies. We shall not falter, we shall not waver. We hold our fate and maintain it in our favor. We shall hold steady, Mankind shall stand ready. End the pain, end the suffering. Let us prove worthy, without buffering. In triumph we shall attest, as we are truly blessed. For we have passed the test, in the spirit of the quest. The Light Never Truly Bends. For that, we are forever grateful our friends! That was moving.. thank you! I love "The Light Never Truly Bends"...Thanks for the inspiration! Is it safe to say, the reincarnation cycle on earth was never intended by the Light and Divine Source right? The Archons using the veil and technology were able to trap most souls and fool them into returning to earth is this not true? Erasing their prior memories or suppressing, although many do remember their past lives under hypnosis etc.. This reincarnation cycle was using our souls for their own dark reasons correct? The Atlanteans, I've heard varied things, were they not fooled as well and then their souls trapped after many died when that continent went down about 13K yrs ago and many on earth are from Atlantis along with other star systems etc? Thanks for your help, that's how I understand this hostage situation we find ourselves in now.. but will end very soon! I have come to the same understanding. And, for all the reasons you mention, I'm looking forward to The New Atlantis. It was used as karmic entanglement , karmic trap . In one incarnation , a person could go through a role of victimizer . In next role , they would take the role of victim , linked karmically with past live/s . Then , they would repeat the process , being stuck in the loop . Many people still keep doing the same mistake . Its important to "wrestle" out from thoughts that look foreign to you , and that , when you objectively surveil them , they definetly look like a program . This is not our natural state - our natural state is unbroken consciousness of infinity , expressed as pure love and joy that is not possible to be interrupted by any artificial programs of misery . We are bigger than any program , than any invasive AI , than any selfish species or group - mainly because we are what we perceive as "God" expressing itself through fractalized existence .
" The concept of karma as punishment and reward system and the concept of planet Earth as a school was designed by the Archons to keep people from discovering the truth about the Archon/Chimera control system and the implant grid. 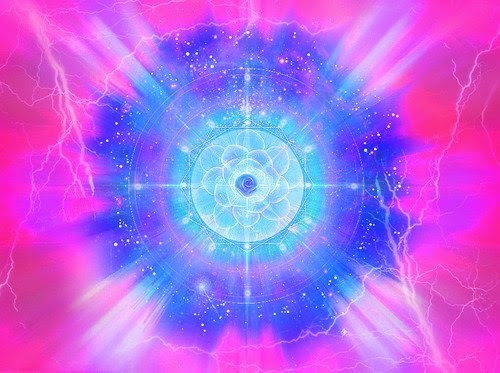 All this will be resolved as a result of the energetic intervention from the Galactic Central Sun." It's difficult to know exactly what happened but what you said probably has some truth to it. We're definitely trapped here and there was a deception. The Annunaki, reptillians and others are involved. We're used as a resource. we have always been FREE - it is a state of mind, a state of being no matter what rules that are laid upon us. we are sovereign beings - we were born free and if we choose we live free. We already are ... were just remembering it for the sake of the experience . Attention moon mama , I felt something very similar to whAt you described. I was lying in bed and like a sting electric field passed through me it lasted about 10 seconds and felt like it wanted to pick me up. I wasn't scared but I resisted the feeling. It felt like a ghost or Angel temporarily passed through my body. Next time I will go with it a little longer. Thank you for posting,I just shrugged it off. I feel it is a good sign. Victory of the light!! A magenta pecuniary reconciliation implant exists inside a cabal member that deals with the evil cabal and financial energy that is anupadaka'ic in nature. Implant = a plasma mechanism used to contain and manage Human Souls. "The implants in the frontal lobe of the brain compromise the decision making process and keep the person separated from the Source. The implants in the reptilian brain cortex keep the person locked into survival fears and thus susceptible to become a slave worker for the central banking system. The implants above the navel separate heaven from Earth, a man from a woman, emotions from the mind and love from sexuality. They fragment the personality and block the flow of kundalini life force. They (the implants) suppress the emotions, which lower their vibrational frequency from joy into pain, then further into anger, and down into sadness, further down into fear, then apathy and finally into unconsciousness. This is the reason why many people feel nothing. 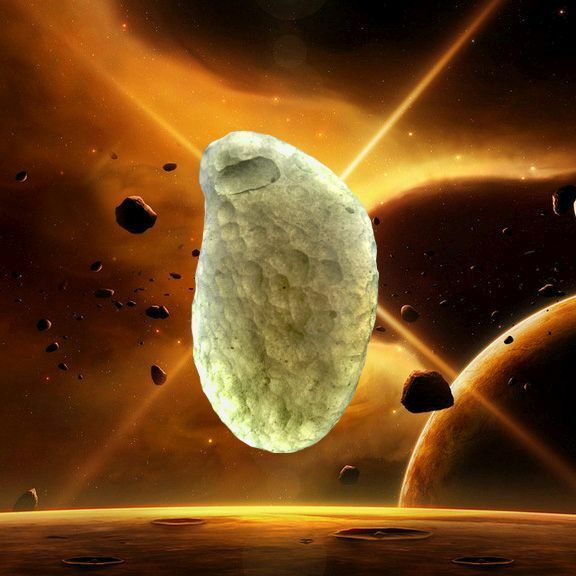 Light emanating from the Galactic Central Sun dissolves the implants. Cintamani stones serve as a focal lens for that Light and they ease the plasma dissolution process." For the first time I did the meditation at a set time. Under the African stars on a still night. It was so very powerful and I imagine it was because of numbers involved. Well I went on a drinking binge again. Hurry, resistance, please I don't have much time. I know you guys have a big task, but please please hurry. Me too. Same message to them. Patrick, I'm sending you Light to calm down...Dear, we're on the brink of the compression breakthru and we want you their with your wonderful self in tact! Patrick.. stay strong my brother, we are all anxious for the world to wake the hell up!! the damn programming is good.. I see people driving by mindlessly, no clue what is going on.. how controlled they've been their entire life, it's painful to be awake and see how dumbed down my brothers and sisters are.. like a bad dream right now. Can't wait either for the WAVE to hit earth and literally turn on the lights for all on the surface. try to relax.. go easy on the hard stuff, you are an amazing spiritual being and we will win! Hang in there Patrick, you're not alone, we love you! No report on the eclipse yet ? Ground within the earth. The inner sun within the earth. Thank you. This is very encouraging! I tried to join in the 144k meditation last night but was unable due to my daughters complex care needs, the timing fell right in the middle of her bedtime routine!! I try and join every Sunday though and can feel everyone else power joining together in Light, it is quite magnificent! We are all warriors of light, we need to stand in our power, I feel things changing. So we've got more "school shootings" over here in the US. Quite distressing, and clearly done by at least one mind-control victim. I have a hard time reading these news stories, so I have basically stopped reading them. I wonder if any kids were really killed? I see this one coach died trying to save the lives of kids.... all of it is so sad. "The dodecahedron is the element of Spirit, the Void, Infinite darkness, Infinite space, Infinite Light. This is not satanic, this is not black magic this is the UNIVERSAL energy present everywhere and in all things. only hidden when the eye is blind. Only revealed properly when the heart and mind are aligned! Its misuse can cause destruction. Its proper wise use can cause universal healing, DNA correction, star jumping ,teleportation, time traveling, dimensional warping, dimensional star travel. WITH WISDOM POWER IS MAINTAINED IN ITS RIGHT-LEFT EQUILIBRIUM. When Love dominates power, Power Is In Love. Love is an Energy Field. Energy Field Is Vibrational Intelligence. 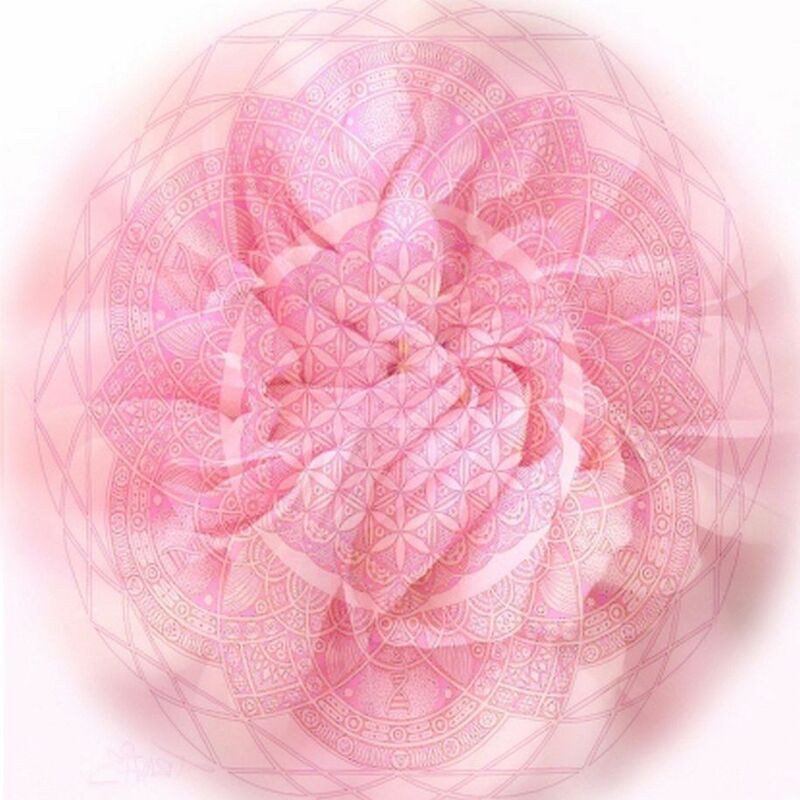 SACRED GEOMETRY IS THE ULTIMATE UNIVERSAL LANGUAGE RESIDING BOTH IN PHYSICAL CRYSTALLINE MATTER AND ETHERIC SPIRITUAL ELECTROMAGNETIC FIELDS. 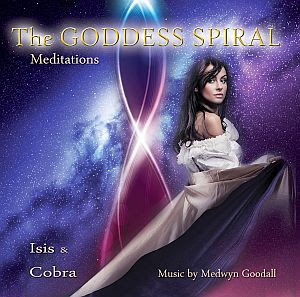 The truth of universal truths is within the spiral, the ladder to heaven, kundalini, serpent rising, spiritual etheric electromagnetic fields composing both physical and nonphysical matter- a matter that science is confused about at this time, simply because they haven't expanded their consciousness. 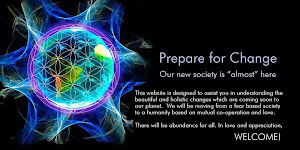 The topic of superconductive fractals, hyper-cubes and crystalline structure is a real technology that is already in motion within our earths grid networks and within the universal galactic existence. With the brightness of your heart the truth comes alive in Vision, fear no longer exists- the initiation into the true art starts with yourself and Nature." The science of Spirit = The Spirit in science. The Divine Union of Technology and Spirituality. Callisto the Dragon manifested! Negotiations COMPLETED! Elevation by SINGLE Magnetism! The Light Celebrates! Dear Bob Steve! 70billion souls who lived in the Earth in the past centuries or millennia ... Did not you mislead ? The undermining ones may have prevailed in the past by lurking in a higher frequency to cloak their identity. However, that is all about to change. Their time is ending. Their maneuvers are being revealed in The Expansive Presence of an even Higher Frequency. The fallen are getting a "taste of their own medicine." Vitória da Luz Agora! Somos Uma Grande Família! Somos a Mudança! LUZ E AMOR!GRATIDÃO! Since nobody has mentioned yesterday's GaiaPortal UpDate yet here it is. It's pretty good if I may say so. "Time to rest with the planet and enjoy her recreation. I am at my favorite spot in the woods,getting and anchoring the higher vibrations. A place I want to be at the EVENT.ground crew in position,end negotiating and do this. The dark will break they're word and continue to false flag events to lower the vibrations.